The 20cm AC Axial Blower offers high output from a compact axial blower. It is designed for easy use and storage without sacrificing airflow. 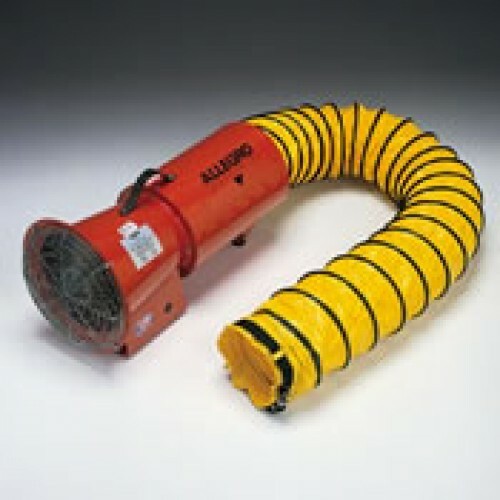 Engineered for convenience, this 8” axial blower is an all-in-one ventilation system. The design allows ducting to collapse into a built-in canister for easy storage. The unit can also be stored vertically to use a minimum amount of space. Includes blower, built-in storage canister and 7.5 metres of ducting. Certified to CSA STD C22.2 No 113. Air delivery certified CEESI.